Read how ANZ use Asset Bank for their image asset management. At any point in time ANZ Stadium works with a host of partner organisations on marketing and sales activities. Each of these campaigns requires good supporting images to be found, selected and used from the many thousands that ANZ Stadium own and continue to accumulate over time. ANZ Stadium decided that they needed to get organised and purchase a Digital Asset Management system. After considering several vendor options ANZ Stadium opted for Asset Bank as the most suitable package for their needs. 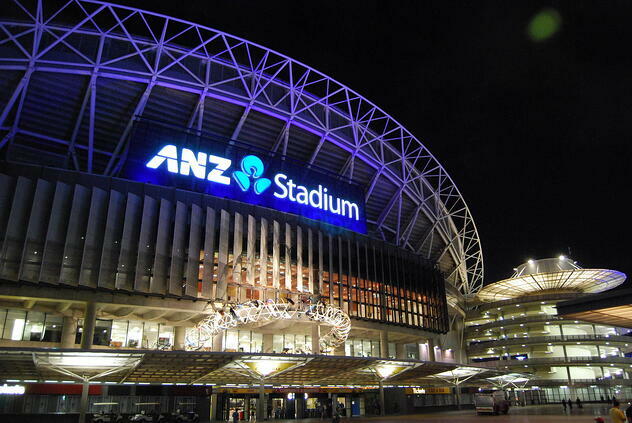 Asset Bank was remotely installed onto the servers at ANZ Stadium, configured to match their requirements and administrator training delivered. As part of their on-going support agreement ANZ Stadium have access to product upgrades that are released on a quarterly basis which include enhancements to existing functionality plus brand new features. This ensures that their Asset Bank solution retains its value over time. "The introduction of Asset Bank at the Stadium eliminated the need for the marketing team to spend time searching for images, and allowed the business to source required assets for themselves. Having everything in one location also reduced the duplication of files on the network freeing up valuable disk space on our servers. The ability to audit and track what images were being downloaded by the business ensured that any brand guidelines were being followed and that it was always the latest version of the asset."